DR. REBECCA'S HEALTHY PLANET: The Opioid Crisis – the problems of tolerance, physical dependence and hyperalgesia. Part 1 of 2. The Opioid Crisis – the problems of tolerance, physical dependence and hyperalgesia. Part 1 of 2. The news is full of stories about the addictive potential of opioids and deadly opioid overdoses. What seems to be missing in the news stories is the subtler issue of separating out the concept of true addiction from the tolerance, physical dependence and hyperalgesia that develop over time, for patients who take opiate analgesics. Our body naturally makes opioid like compounds. If we use man made opioids (opiate analgesics) our body gradually decreases the creation of natural opioids and we start to need a greater and greater dose to get the original pain-relieving benefit. This is called opiate tolerance. In other words, we start to tolerate the artificial dose of opiates Inevitably, if you start to rely on pharmaceutical opiates you will start to feel the need for more pharmaceutical opiates to get the same effect. It's easy to understand how this might lead to a dangerous spiral of increasing opiate use which may ultimately become life threatening. Once you have developed tolerance to opiates your body becomes dependent on the artificial medicine to replace your normal production. This is called physical dependence. Once you have developed physical dependence on opiates withdrawal of the opiate medication will cause unpleasant physical symptoms. Physical dependence to opiates may be confused with addiction. Just because patients may be unable to wean themselves off the opiates at the end of their treatment may not mean that they have somehow become an “addict”. True “addiction” is often a different problem. There are people who are addicts for physiologic and psychological reasons. These individuals are wired to seek the feelings that drugs, or alcohol, provide and feel the need to continually seek the high from their drug of choice. Of course, some patients prescribed opiates may fall into this category, but many do not. Many patients who are placed on opiates started out with a real acute or chronic pain issue. They were not seeking a high or being irresponsible just because they agreed to take opiates, when their physicians tried to offer them relief from their pain and suffering. And just because they cannot easily discontinue the opiates does not mean that they should now be labeled as “addicts”. Another serious problem with taking opiate analgesics is that our bodies may actually develop increased pain during the treatment. This is called opioid induced hyperalgesia. In this case a patient may experience a paradoxical increase in pain. This means that you may actually experience new kinds of pain, from the use of opiates, than you did prior to starting the medication. Obviously, this can be very confusing as you might think that you need more opiates to relieve that pain but in fact a higher opiate dose might just exacerbate the problem! I suspect that a portion of the so called “opioid epidemic” is a consequence of doctors not recognizing that patients need education concerning the many risks associated with taking opiates, as well as appropriate follow up care whenever opiates are prescribed. Simply giving patients a prescription for opiates, without informed consent, and then leaving them on their own without a plan for discontinuing these medications is dangerous. As if patients are going to somehow understand the concept of tolerance, physical dependence and hyperalgesia, or be capable of managing these consequences without medical support. Enlightened and educated physicians will refrain from prescribing opiates unless absolutely necessary. They will help their patients to understand that whenever they consent to taking opiates that there are serious risks involved. They will educate their patients about the physiology of opioid tolerance, dependence and hyperalgesia. Patients need not only education about the risks and dangers of taking opiate analgesics but a plan of how they are going to wean themselves off the medication, if it is prescribed. Physicians need to offer them the tools to help them to discontinue the use of these medicines safely. Patients also need education about non-pharmacological options to relieve their pain. Whether it be acute pain, from an accident or surgery, or chronic (non-cancer) pain. Left with no other alternative, patients might feel desperate to continue using opiates even though research suggests that discontinuing the opiates will ultimately decrease the amount of pain they experience, improve their mood and increase their day to day functioning. 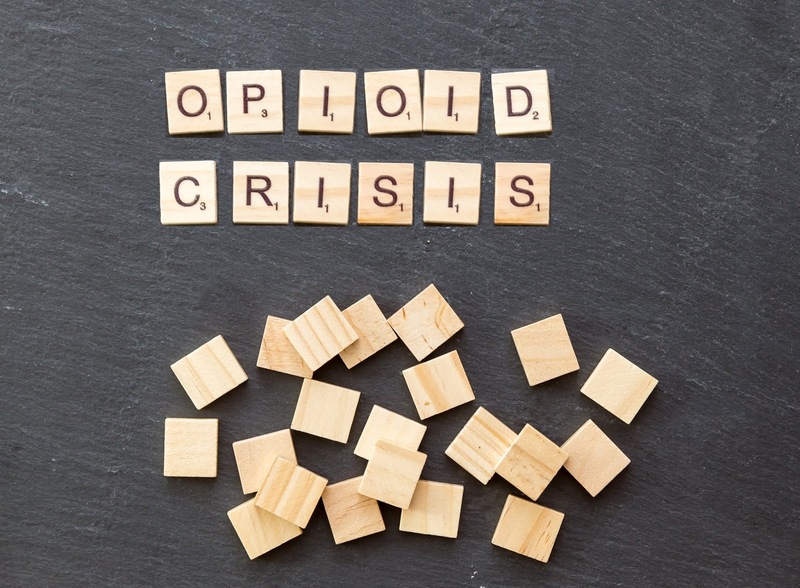 Furthermore, patients must understand that it is their responsibility to withdraw from opiates over time and that this process involves a concerted effort and some discomfort. Doctors need to help prepare their patients both physically and psychologically with the knowledge they need to relieve any ongoing pain and discomfort without opiate analgesics. If your doctor cannot help you, consider seeking a consultation with a physician who is specifically trained in Pain Management. These physicians have expertise about the non-pharmacological management of pain and how to help their patients safely withdraw from continuing to use opiate analgesics. Alternatively, seek out physicians who are trained in Addiction Medicine. These physicians understand how to comfortably and safely help you discontinue the use of opiates. In my next post, I will explain some of the concepts that are important in safely and comfortably withdrawing from using opiate analgesics. Opioid Tolerance: A phenomenon that occurs when individuals over time require greater amounts of opiates to obtain the original degree of its desired, therapeutic effect. Physical Dependence: A physical condition caused by the chronic use of a tolerance forming drug, in which abrupt of gradual drug withdrawal causes unpleasant physical symptoms. Opioid-induced hyperalgesia (OIH) is a state of nociceptive sensitization caused by exposure to opioids. The condition is characterized by a paradoxical response whereby a patient receiving opioids for treatment of pain could actually become more sensitive to certain painful stimuli. The Essence of Analgesia and Analgesics Edited by Raymond S. Sinatra, Jonahthan S. Jahr, J. Michael Watkins-Pitchford. Great article, Dr. Rebecca! I particularly appreciate both your points about the restraint that physicians should use in prescribing opiates, as well as the need for both physicians and patients to become educated about risks of usage and the weaning process! I am glad this is out there! Thanks Steve, I really appreciate the encouraging comment. The best way to make a genuine assault on the Opioid crisis is to wipe out the supply of illicit medications. This is practiced by pursuing the dealers, not the clients. Anybody indicted for Opioid dealing should confront required condemning. Dealing up to a specific sum ought to be life in jail without the likelihood of parole, over the predetermined sum, compulsory capital punishment. Some online assignment experts think this is excessively cruel, yet not in the event that you think about that every dealer might be in charge of the deaths of hundreds, potentially thousands, of individuals.